Concealed Cisterns ensure that your bathrooms look spacious, clean and hygienic at all times.Besides modern designs that offer a sleek look to bath spaces and outstanding features like water-saving, easy access maintenance and anti-condensation. We deal into following brands for Concealed Flushing System. Features Low noise, Save Water, Adjustable Legs and Easy to install. 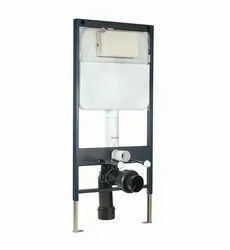 Dimension Kombifix (with frame) 55" x 74" and Alpha (only tank) 49" x 36"
Two sizes are avilable for the inlet pipe for the Flush Valve is 32mm and 40mm pipeline. In Dual flow 3ltires and 6 litres of Water is flushed for the respective acts. 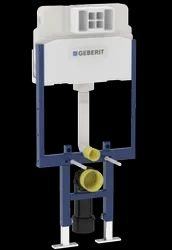 Looking for Flushing System ?